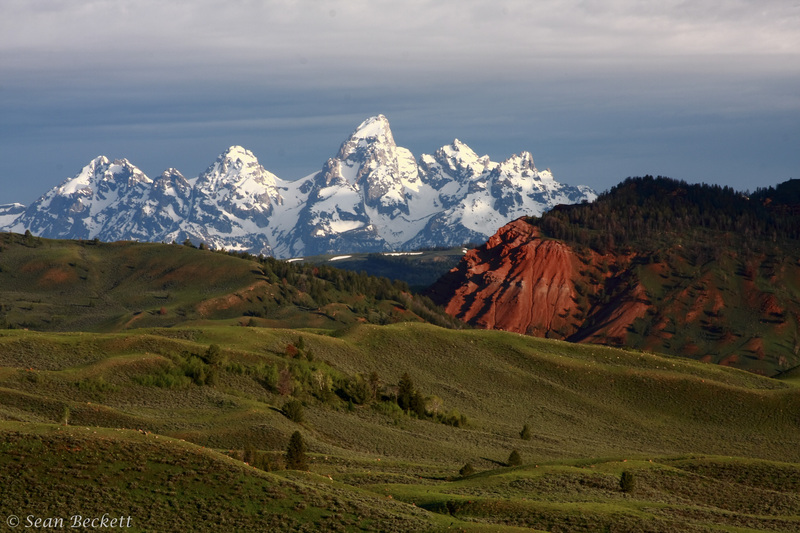 In the middle of January it is a challenge to remember summer in Yellowstone National Park. Those sunny afternoons floating down the river in an inner tube, counting birds and otters along the shore, are now just a dream. Jackson Hole’s Osprey, now lounging on the Cuban beaches, fretted and whistled at us as we drifted past their riverfront perches. Summer seems gone forever, but Yellowstone’s wildlife sees their glasses half-full. 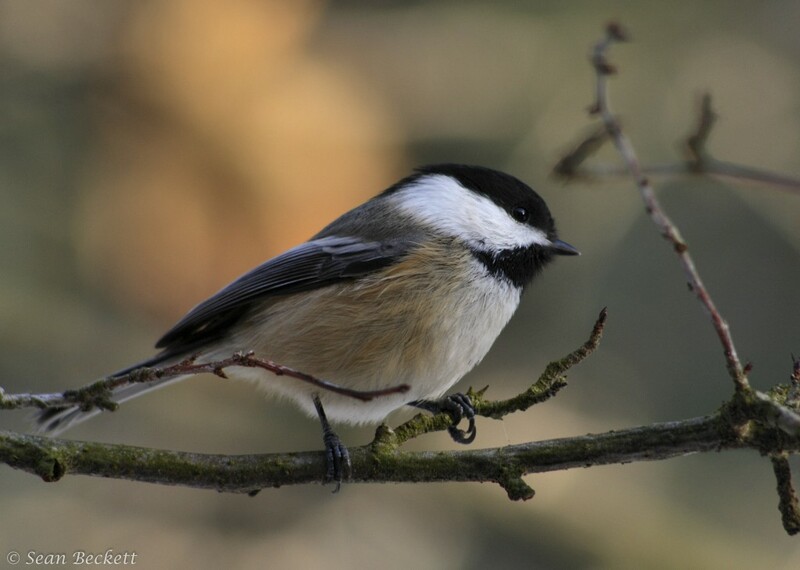 Days after the winter solstice, during the year’s shortest and coldest days, black-capped chickadees begin to practice their fluty “cheese-bur-ger,” song. It is a strange time to sing. The chickadee realizes that days are lengthening, and switches are flipping deep in his brain that trigger his dormant hormones. He is reminded that the breeding season is only a few months away. It is physiologically-induced optimism. 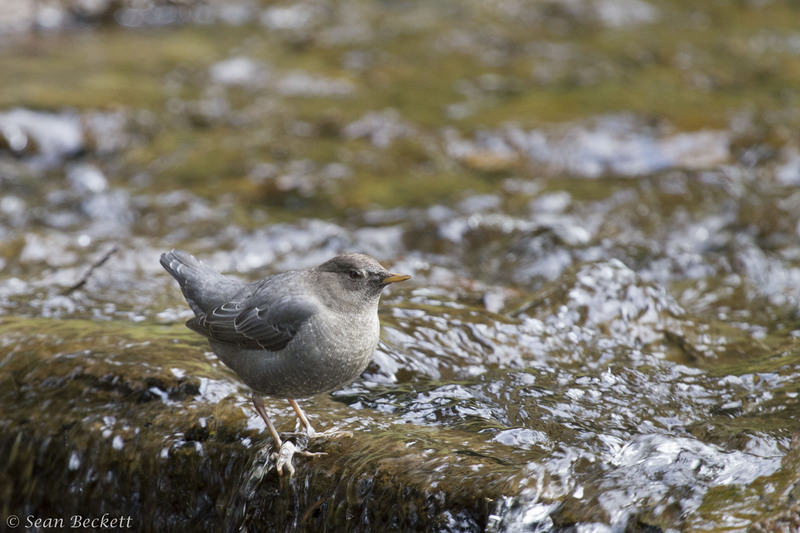 Along the frozen river banks, the American Dipper plunges into the water to catch invertebrates clinging to the bottom of frigid cobbles in fast-moving streams. This little songbird is a philosopher, having read Aristotle’s quote, “Nature abhors a vacuum.” In other words, if something is edible, something will learn to eat it. This cousin of the common American Robin is a model of ingenuity, and has figured out that no other bird eats these whitewater bugs. So without webbed feet or hardly any other aquatic adaptation (save for some extra-thick preening oil), he dives underwater and rides the rapids to the surprise of all the ducks and swans nearby. They tell him that he is just a simple songbird in the middle of the Yellowstone winter, and he ought to migrate to South America like all his insectivorous friends. “Winter?” says the dipper, “what is winter?” and plunges into the river again. 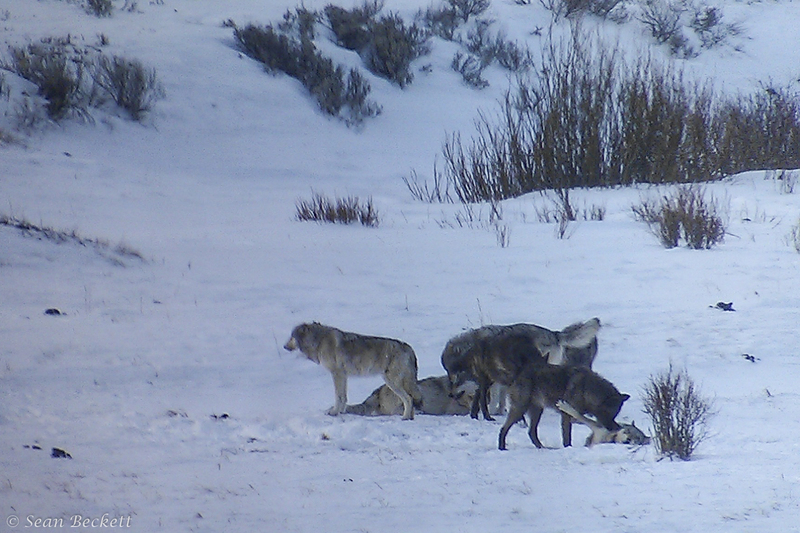 Yellowstone’s wolves may be our best reminder of the summer to come. This week has marked the beginning of their breeding season. Handsome lone suitors howl and serenade young pack females like the window scene in Romeo and Juliet. Some of these females sneak away from their parents’ watchful eye in the night. The park’s alpha pairs are all flirting and courting and spending more time close together. For us and for wolves, having children means believing in a brighter future. The wolves’ frigid winter mating season is timed to ensure that their pups will emerge from the den onto a warm, green hillside. Sean Beckett is an exceptional writer and superb photographer. Visit his blog to read his other posts and view his wildlife photography available for purchase.